Tap games because of its simple controls, fun and yet quite challenging gameplay are one of the most interesting games you can play on your smartphone on the go. 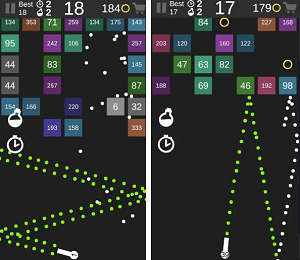 SpeedCube is an incredibly addictive tap game that will challenge your speed and quick reactions. We loved this tap game and its fast-paced gameplay so much, we decided to name it as our Arcade Game of the Month. Learn more about the tap game in the following review. Developed for Android users, SpeedCube is a tap arcade game that’s quite addictive, fun and challenging for all users who are trying to push their fast reflexes to the limits. With its simple one-tap controls and its sharp graphics with entertaining sound effects, players will enjoy the fast-paced reflex endless tap gameplay. Getting you addicted to playing fast, you simply need to tap to move the cube, trying to handle its speed as its getting more faster in order to get the cube as far as you can and progress. The incredibly exciting fast-paced tap gameplay with the features available will get you hooked to playing the game on your first try. All you need to do is to tap on the screen and move the cube left and right, reacting fast and controlling the speed of the cube as much as you can. 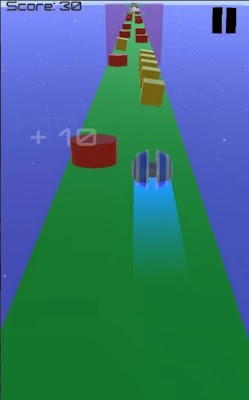 To make the game even more challenging, there are many obstacles put on your way and you need to pass them all without crashing into them while controlling the cube and its speed. If you like to unlock more cube paths to play on to test your skills and new cubes to play with, you need to collect the coins on your way through the game. Get the cube through the challenging obstacles, move it fast while handling its speed, collect coins and progress through the exciting levels in this cube adventure, to become the best tapper and win the highest scores. Download the game on Google Play for free to test your reflexes, handle the speed of the cube by tapping fast!